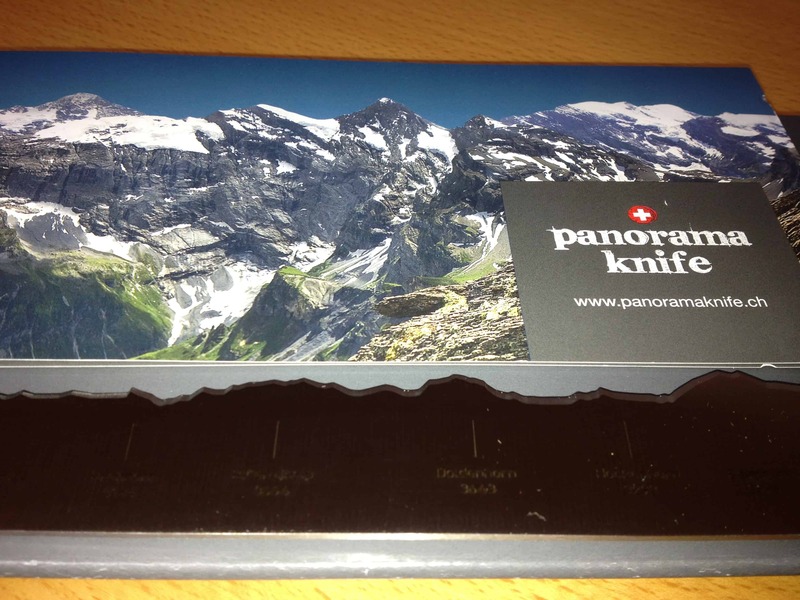 Some time ago a friend posted a link to a nice new product of Switzerland, shaping a knife like the panorama of the swiss alps. 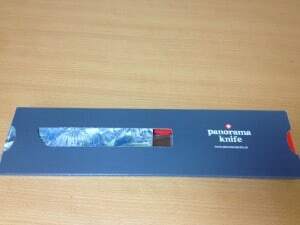 The project is called Panorama Knife. Of course I couldn’t resist and immediately order one of these wonderful items. 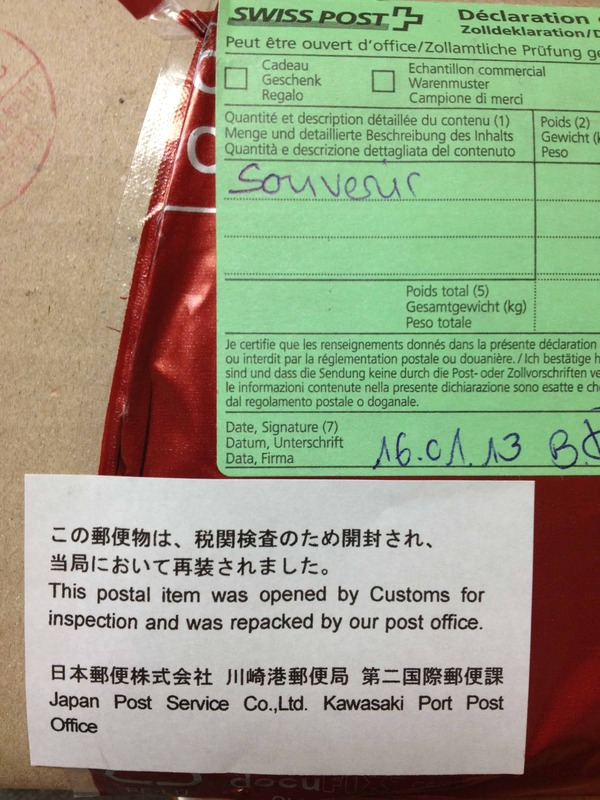 A little later I got nervous about what customs would say, as knifes (and swords and the like) are a bit critical property in Japan (think, it is officially forbidden to carry knifes, even a normal knife for mountaineering, my sweet Opinel). So I was surprised when this morning the post man rang at my door and handed me this interesting package, without any need to pay extra customs or so. Outer inspection showed nothing particular but the statement that it is a Souvenir (I will actually use it of course!) and that it was inspected by customs. I am imagining the custom officers laughing when they saw the knife. Well, maybe they didn’t laugh, serious life here. After tearing open the outer wrapping a nice package emerged, simple design, but still hiding the knife with some inlaid pamphlet. 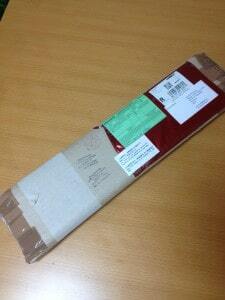 In contrast to Japanese packaging there was no four-times wrap, no plastic, no outer security wrap. Just the knife. 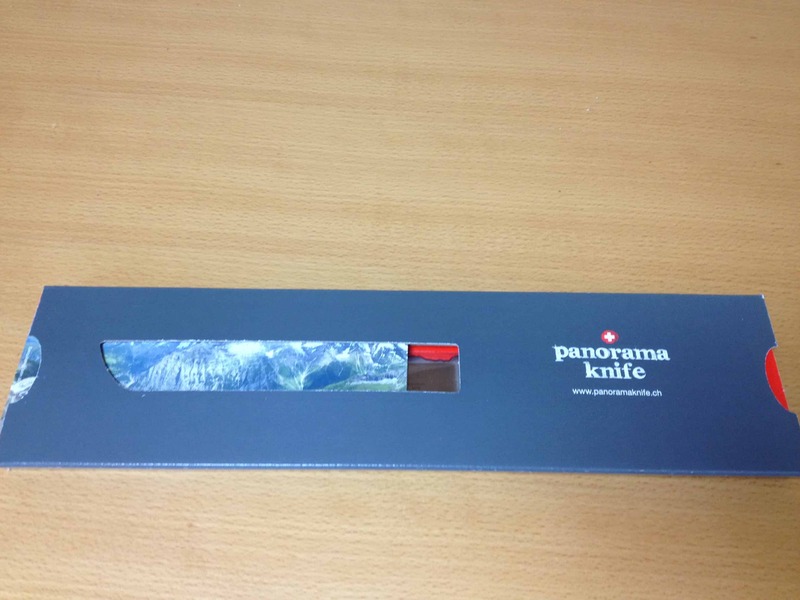 Finally the knife is out, revealing a meticulously crafted blade with names of mountains inscribed, giving a nice panoramic view – or better, helping recall a nice panoramic view onto the real mountains. 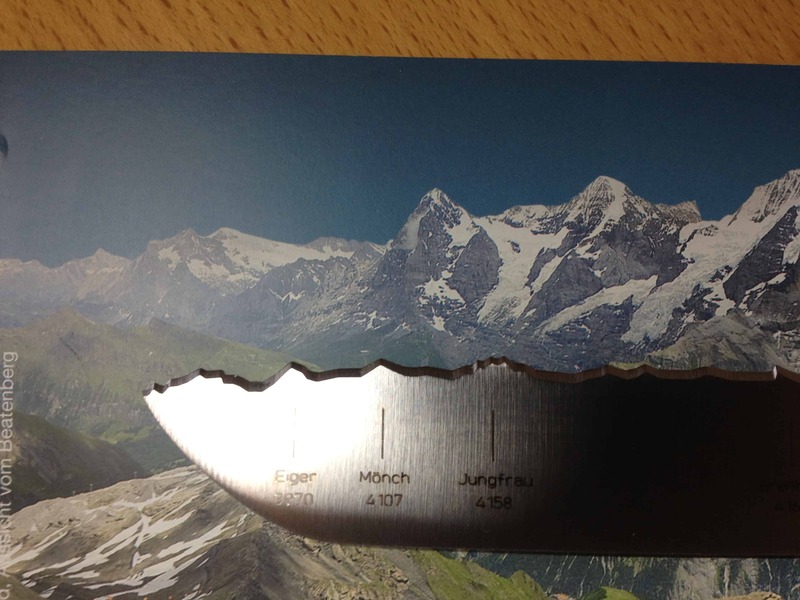 A final inspection of the details of the knife shows some very nicely carved mountains I have climbed, and now I can use them for cutting food. 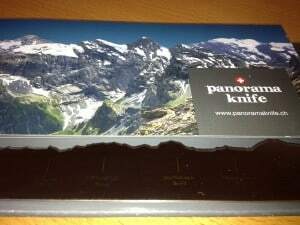 Now I only wish to actually go back to Switzerland soon for some weeks of mountaineering!